I have played this since it came out. Best putter I have ever used. This mallet has enough feel to be good for lag putting and that is rare for a mallet and is deadly accurate from inside 4 feet. Gotta agree, its very accurate from within 4-6 feet. The extra site lines remind me of the old Zebra putters of old. Whenever I begin to feel shaky about putting and my confidence goes, I'll take this out and get back to sinking more putts. The one gripe I have is the aluminum face is fairly soft, and you gotta keep the headcover on, in order to prevent dings/nicks. 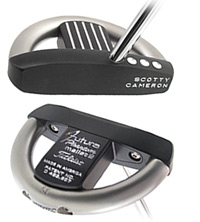 I've got the Futura Phantom 2 with the double bend shaft towards the heel of the putter. 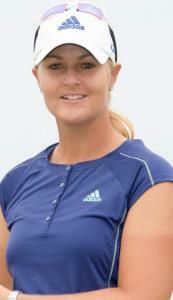 I will not give this putter up, its a keeper. I may not use it as frequently, but it will always be in my possession. Tried a phantom 2 center shaft once and found that the silver perimeter weight helped with my alignment a lot. The shape of the ring sort of mirrors the shape of the cup if you are close enough to the hole to see both at the same time. I found it very easy to line up and it was weighted well so it flowed back easily when starting the stroke. 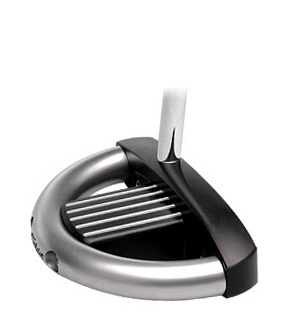 I would highly recommend this putter to anyone who wants a more solid, beefy putter than a typical answer-style blade but also does not want to look down at some sort of high-school science project with a shaft. Anyone have a shop to recommend? I would like to buy noe of these putters. Let m eknow if you have a shop that will ship to Toronto, Canada thanks. Ebay is your best bet. I just sold mine on ebay for $80.00 and would have been happy to send it to Canada. This putter is forgiving, soft feeling and easy to line up. Distance control was very good with this putter and short putts were almost automatic. The only drawback with this putter is the soft aluminium does ding easily and the anodizing is prone to coming off on the corners. Are the ones that are marked 34" on the bottom heavier than the ones that are marked 35"....like the Red X series were heavier the shorter they got?